Courant octobre 2017, Monsieur Loval, Proviseur du Lycée de Pointe Noire a suggéré l’idée d’organiser une journée « sections Euro-Caribéennes » dans son lycée et a invité les élèves de la section Euro-Caribéenne du LPO Charles Coeffin à y participer. La coordinatrice de l’équipe pédagogique d’anglais à Pointe-noire, Madame Espiand, a contacté Madame Bérenger du lycée Charles Coeffin pour mettre en place cette journée qui se focaliserait sur une immersion totale en anglais, avec échange entre élèves de différentes sections Euro-Caribéennes (Physique/Maths et SVT), des workshops et pour finir un flashmob dans la cour centrale du lycée. Ce fut un réel succès et les élèves des différentes sections ont donné leurs impressions sous forme de petits reportages en anglais. Un grand merci au Proviseur, Monsieur Loval et Madame Espiand pour une journée mémorable ! YOU’VE NEVER HEARD OF THE ENGLISH LANGUAGE DAY CAMP (ELDC)… LET US TELL YOU ABOUT IT! An article from the students of 2GT2 from Pointe- Noire and the students from 2nde Euro in Coeffin. 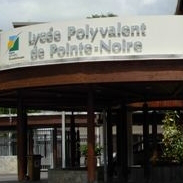 The idea was given by the principal, Mr Loval Patrick, who wanted the English teachers to think about a way to create an encounter between the high schoolers from Pointe –Noire and Coeffin. English had to be the language that would unite them. The teachers proposed to give these students a day which they would never forget. The goal was to have the students speak English all day through, to whomever they would meet, but also, to take them away from their classroom. How could we make our students travel without leaving the island? Mrs Espiand proposed to find a guide that would take them into the forest to discover our amazing nature. Hiking in the forest is great, but hiking in the forest with an English speaking guide would have been greater. We only had to find this rare person. Mrs Berenger, who has so many contacts, was the one who proposed Mr Montaldo as an English-speaking guide. Mrs Espiand found the second one in Mr Brudey. On the 08th of December, at 8 o’clock, a team composed of 65 students, 8 teachers and 2 guides started walking towards the wonderful “trace des ruisseaux” in “Les Mamelles”. After the walk, the students were organized into 4 groups that had, in turn, to go to four activities. Mrs Ellapin, science teacher in Pointe- Noire, made the students work on how to transform dirty water into a drinkable one. Mrs Kozierow, biology teacher in Coeffin had the teenagers working on the cells of plants. Soony, the Englsih language assistant in Pointe- Noire, talked with them about her birth place, Arizona. Mrs Espiand made them learn the dance they had to perform at the end of the day. Time flew so fast that day! We enjoyed a beautiful weather, with wonderful people and great activities. The students from 2GT2 in Pointe-Noire agreed to give their testimony. They also want to thank all the people who made this meeting possible. Thanks to Mr Loval for allowing this to happen. Thanks to the English teachers from Pointe-Noire (Mrs Jean, Bethsy and Espiand) and Coeffin (Mrs Berenger and Galuska) for their commitment to the project. And a special thank you to the science and biology teachers who agreed to prepare their activities in English (Mrs Ellapin and Mrs Kozierow). On December 8th, 2017, both Euro-Caribbean classes of Charles Coeffin High School (Euro-Caribbean Math and Biology) went to the national park in Basse-Terre. There we were “escorted” by the Euro-Caribbean class from Pointe-Noire High School. This trip allowed us to discover the nature and to learn more about our island. We had a guide who was able to answer our questions. We saw that he was really passionate about his job. We enjoyed the whole day, but the best part was when we formed a “flash mob” in the high school playground. In fact, for this event, we learned a choreography performed by Michelle Obama on American TV on “The Ellen Show.” The song was Uptown Funk by Bruno Mars. Everybody enjoyed this moment because all the students of the high school came to watch us. We were proud of ourselves. It was an extraordinary day and we hope that we will have this experience again in the future. On Friday, 8th December we met with the students of the Pointe-Noire Euro Caribbean class for a Boot Camp. assistant who works with the Pointe-Noire Euro Caribbean class. She comes from Arizona, USA and she taught us about her state: Arizona. She told us about the seasons and the dry climate. She also talked about the fauna and flora, for example, the fabulous Gila Monster and the natural and beautiful spots of Arizona such as the Grand Canyon. and many of us previously didn't know anything about this wonderful state. Sooni was very dynamic and knew how to keep our attention. Caribbean classes. We enjoyed that time together. It was interesting and rewarding, and we learnt a lot of new things. One of our favourite moments was the dance part. For the occasion, we prepared a choreography inspired by “The Ellen show with Michelle Obama.” Thanks to our motivation and our positive energy, we learnt the routine quickly, while having a lot of fun. To conclude, we enjoyed an incredible and funny moment and we discovered students’ hidden skills! They have good moves! During the English-immersion day we had a biology experience where we analyzed human cheek cells. To get our cells, we each put a cotton-swab inside our mouths and we rubbed our cheeks. We then put the samples onto a slide with a methylene blue solution and we covered this with a cover-slip. At the end we observed the cells through a light microscope. That was cool because we learned a lot and we enjoyed ourselves. Physics was one of the optional activities during the boot camp day. We learnt how to turn non-drinkable water into drinkable water, using coal. We had to follow different steps. We really enjoyed this task, thanks to the teacher. It was really interesting and all of us had the chance to participate. We went to Bras David with 2 guides, who showed us the fauna and the flora. During the hike we met the students from Pointe-Noire. The guides explained the micro-climate to us, the story of the island and its diversity. We discovered that the population affects the island. It was really exciting. For example, we had to walk on the roots to avoid the mud due to the humidity of the forest. We also went to the river, where we observed some birds. And we learnt a lot! We had so much fun that day! My best memory is when we were walking in the forest, trying not to walk in the mud. After the walk, many of us were complaining and trying to get rid of the mud we had on our shoes. The students from Pointe-Noire were really friendly. At the end of the day, all of us were tired but happy!